I am definitely a re-wearer (is that a word? 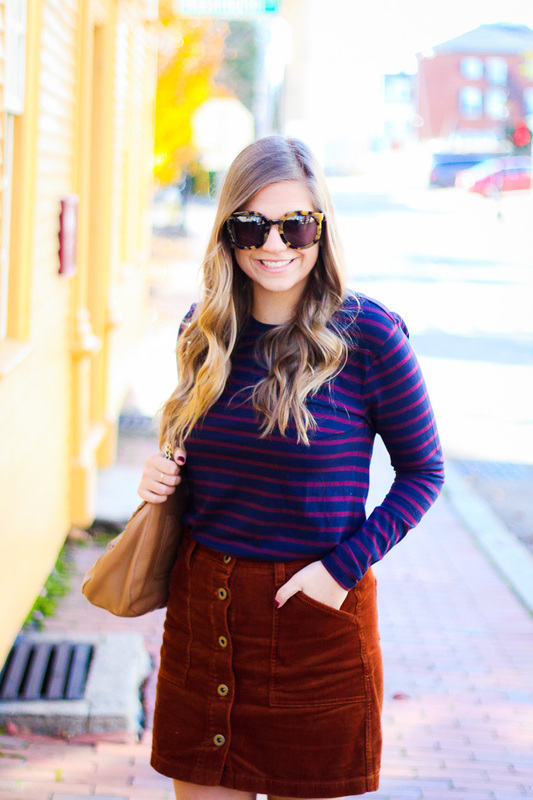 ), I love "shopping" my own closet and pairing pieces together differently every time I wear them. 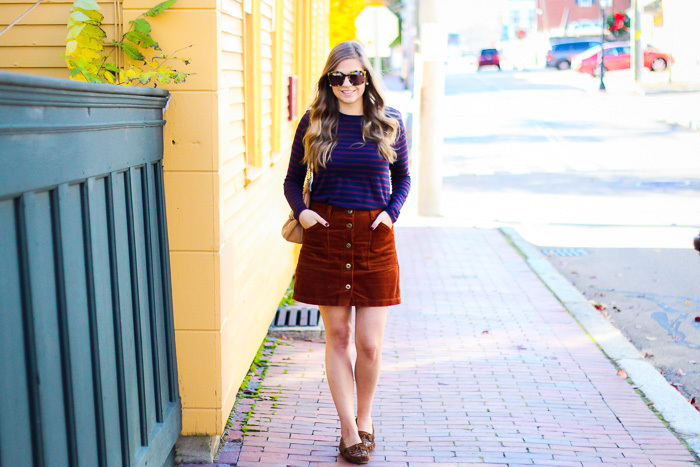 This skirt, last seen here, has been my favorite skirt of this fall. 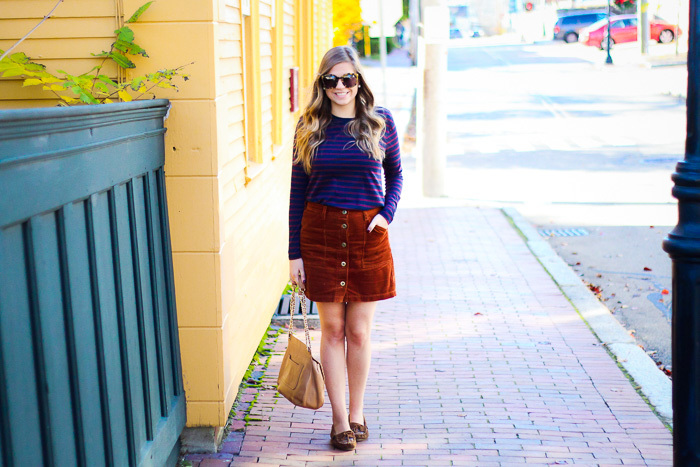 I love the buttons and the corduroy, the texture and color is perfect for autumn. Lately I've been loving to wear it in a more casual look, either with a simple sweater for t-shirt. 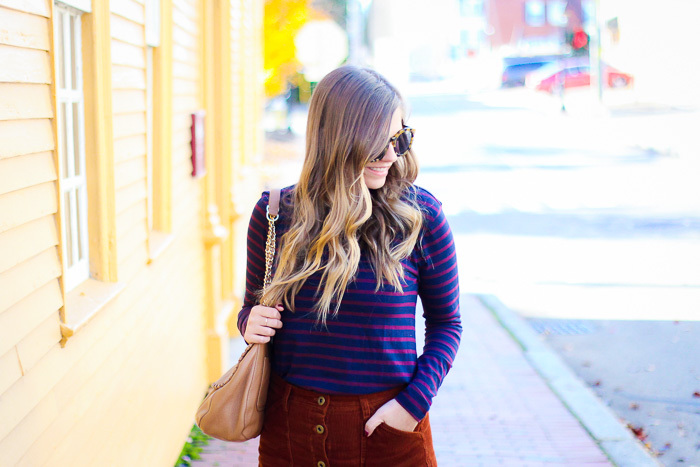 I paired it here with a blue and maroon striped top that has yet to make it to the blog but has been on constant rotation this fall. It's also super affordable and a little longer than normal so as a bonus - you could totally wear it with leggings! Investing in staples, as seen here, is the best way to make your closet interchangeable since classic, easy pieces will always go together.